Since we’re in an election season and it’s Spring time, you should know your rights! A clean office is more than a beautiful thing, it’s your right come every spring… okay, so maybe I’m not a poet laureate. Anyway, we all love clean (a quality clean) especially at the office, because we spend so much time in one! Hand sanitizers – Portable, handy (no pun intended), and they kill germs. What’s not to love, right? A quick swipe on the phone, keyboard, and the places you touch helps you avoid the creeping crud. While you are at it take one with you as you walk through the office and a give a quick swipe to all the surfaces you would touch like door knobs, light switches, the copier, etc. A tidy desk – Seriously? Yes, less clutter means less germs to spread and less frustration. A fresh smelling break room fridge – Every fridge should have a laminated sign saying everything left in the fridge on Friday will go into the garbage, containers and all. Then have someone designated to do it, because no one wants to open the door to icebox halitosis and hairy science experiments on Monday morning! A clean floor – Yes that means vacuuming, sweeping and mopping! This really helps reduce dust and allergens, it’s a must do! And, regular maintenance on your floors also preserves them, reducing the frequency of costly services like stripping and waxing. Hand washing posters – Yes, people do need to be reminded of this! Amazing in this day and age! A clean microwave – It’s downright gross – you open the microwave to find someone’s food explosion. Keep it clean, people! Better yet, get a cover to put over your food and it won’t splatter all over… they sell them at the Dollar Store… for a dollar! Plenty of toilet paper in the bathroom – You can never have enough toilet paper… “can you spare a square?” Do you remember this from Seinfeld? An empty trashcan – ‘Cause who wants to have their junk all over the place? Yes, trashcans should be emptied nightly, along with recycling (this is Portland after all! ), and it will reduce pest control issues and bills. 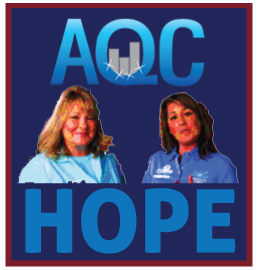 If your office needs help in any of these areas give AQC a call! 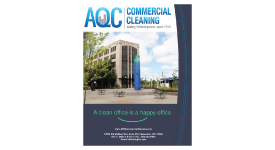 You do what you are good at and let us do what we are good at, and we can help you defend your rights and keep your office “Spring Clean!” VOTE FOR AQC!